How much of modern Western social and economic policy is based on properly interpreted factual evidence and how much on unexamined assumptions and ideology? In Wealth, Poverty and Politics, Thomas Sowell, the venerable Senior Fellow at the Hoover Institution at Stanford University, sets out to demonstrate that rather more than is healthy is based on the latter. Sowell divides opinion. He shuns labels but he is a hero of those on the right who favour small government and free market policies. Conversely, he is castigated as a villain by those on the left, although since he is black and was brought up in poverty in North Carolina in the days of segregation, he is a rather unusual villain! Wealth, Poverty and Politics is unlikely to lessen this division of opinion. It largely repeats things that Sowell has been saying for decades and sets out to slay a number of liberal sacred cows, ranging from affirmative action, through the welfare state to foreign aid. Sowell’s starting proposition is that, because the humanitarian goals underlying many policy proposals are important, “it is crucial that these proposals be based on an understanding of the actual facts about the causes and consequences of economic inequalities” (page v). He then considers the role of geography, cultural factors, social factors and political factors, recognising that they overlap and interact with one another . At a high level of generality, all of this is unexceptional. It is when Sowell begins to consider its implications that the radical nature of what he is saying becomes clear. He takes issue with those who start with the premise that “the poor are poor because they are exploited by the rich” (page 257), a view that he demonstrates failed to die when Communism collapsed a generation ago. He takes issue with those, such as Professor Angus Deaton and the late Professor John Rawls, who equate equal prospects of success with equal opportunity, suggesting that Angus Deaton’s statement that there would be no correlation between the earnings of parents and their children in a society with perfect equality of opportunity “is in defiance of both heredity and environment” (page 180). He points out that, even in a society with perfect equality of opportunity, the factors that he identifies are likely to prevent an equality of outcomes. Specifically, he points out that all cultures are not of equal economic value: “different groups living in the same external environment can have very different productivity if their internal cultural values produce very different priorities as to what they want to do, and at what sacrifices of other things” (page 97). 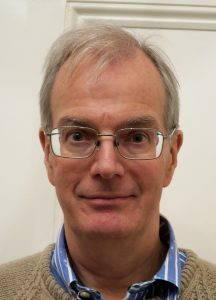 He draws attention to differences in attitudes to learning (provocatively noting that, in the USA black parents in the highest socio-economic quintile have slightly fewer books in their homes than white parents in the lowest socio-economic quintile), differences in attitudes to work (noting that whole societies, such as Spain in the 16th to 18th centuries and the Southern States of the USA until recent times, have regarded work as degrading) and differences in ambition (noting that some social groups, including some white groups in the UK, lack ambition). Perhaps most controversially of all, he suggests that some groups have greater mental capacity than others, although he is careful to stress that the evidence suggests that this is not to do with genetic pre-conditioning but cultural and social factors. 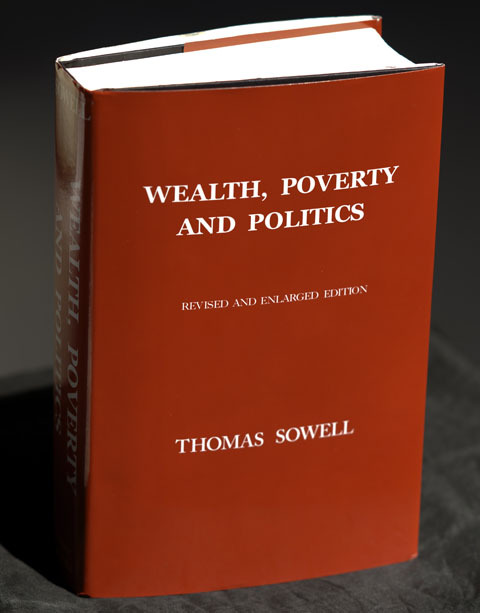 Sowell suggests that “the ultimate wealth of a society does not consist of its tangible output, as such, but the ability – the human capital – to produce that tangible output” (page 413) and that the failure to recognise this leads policy in the wrong direction: efforts to advance economically lagging groups should be directed not so much at correcting society and its institutions as “getting members of lagging groups to reorientate themselves towards acquiring more human capital” (page 181). This is perhaps best summed up in Henry Hazlitt’s statement that “The real problem of poverty is not a problem of distribution but of production” (page 8). On this basis, Sowell attacks modern liberal economic and social policy. He lays into US welfare policy, suggesting that it produces counter-productive lifestyles that reduce the need to develop essential human capital and that “having promised progress towards ‘social justice’” it has “delivered instead retrogressions towards barbarism” (page 305). Foreign aid, affirmative action and identity politics are dealt with in a similarly robust manner (e.g. he suggests that multi-culturalism “has often been carried to the point of encouraging lagging groups to proudly cling to their own culture, or even resurrect it in some cases, with little concern that these groups’ economic and educational lacks might be – at least in part – a result of the cultures that they were being encouraged to cling to”, page 166). Wealth, Poverty and Politics has significant defects. Its argument does not develop in a clear linear manner and it would benefit from severe editing, since many points are made on more than one occasion and some on multiple occasions (e.g. Sowell’s point regarding the lower I.Q.’s of mountain based people). It would also benefit from the inclusion of positive suggestions for policy that interact with the moral issues raised by poverty. These issues are annoying but Sowell writes in an engaging manner. He has a penchant for quotable quotes and, more importantly, an ability to provide thought provoking illustrations of the points that he is making drawn from a variety of different places around the world and a variety of different periods and contexts in the past 1000 years. This results in interesting comparisons (e.g. between some black communities in the USA and low-income white communities in the UK and between early modern Spain and the contemporary Middle East). Furthermore, his use of statistics is sufficient to back up his arguments without overwhelming the reader and the addition of a number of personal anecdotes adds a human dimension. The result is a readable book aimed at the intelligent non-specialist that raises issues of critical importance in the West today. Many on the left will want to take issue with what Sowell says but they will need to demonstrate why he is wrong. Many on the right will agree with much of what is said but even they will need to ask themselves whether their policy prescriptions might be counter-productive. The revised and expanded edition of “Wealth, Poverty and Politics” was published in 2016 by Basic Books (ISBN-10:0465096763). 565 pp.